The air we breathe is Nitrox 21, which basically means it has 21% oxygen and 79% nitrogen. When we dive the pressure increases by 1 bar every 10 meters so the partial pressure of the oxygen (PO2) and the partial pressure of nitrogen (PN) increases. As you can see the partial pressure of Nitrogen is increasing with depth. To reduce the Nitrogen we can add oxygen. 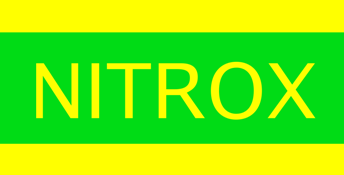 Standard Nitrox mixes are Nitrox 32 and Nitrox 36. Nitrox 32 is 32% oxygen and 68% Nitrogen and Nitrox 36 is 36% oxygen and 64% Nitrogen. Increasing the oxygen increases your no decompression times and reduces the fatigue factor. The extra oxygen gives longer no decompression times compared to no decompression times associated with Nitrox 21 (compressed air). But the extra oxygen gives us other limits. The first limitation with extra oxygen is depth. How deep can you dive with Nitrox 32 and Nitrox 36 First we need to look at Daltons Law of Partial Pressures? The forward slash / is divided by. .So is there to much Oxygen in the nitrox ? So 0.32 x 4.0 = 1.28 The oxygen dose is less than 1.4 Bar so its ok to dive. So 0.32 x 5.0 = 1.6 . The oxygen dose is 1.6 Bar and 1.4 is the max so its not ok to dive. How deep can I safely dive with this nitrox ? 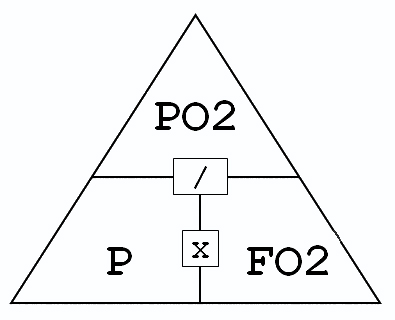 We get 1.4 / 0.32 = P 1.4 is the partial pressure of oxygen divided by 0.32 the % oxygen = P the pressure. we get 1.4 / 0.36 = P 1.4 is the partial pressure of oxygen divided by 0.36 the % oxygen = P the pressure. The wrecks at 25m what nitrox do I use ? The wrecks at 35m what nitrox do I use ?
. These examples are just to show how easy the calculations are, and can in no way replace a nitrox course.